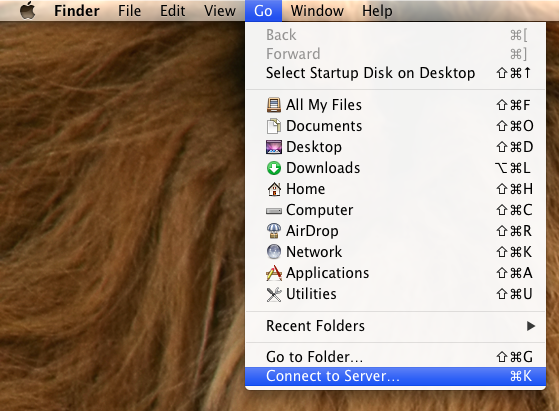 Before we can connect to our NFS server we need to enable the NFS service on OS X. Oddly enough, the service doesn’t automatically start when you attempt to make a connection. Click Connect to Server from Go’s drop down menu. Alternatively, you can also press Command+K to launch Connect to Server. In the Server Address field, enter nfs:// to define the network protocol for CIFS, and then enter either the IP address or the hostname of the file server with the export path. To add the server to your Favorite Servers list, click the ‘+’ button. Click Connect to connect to the share.